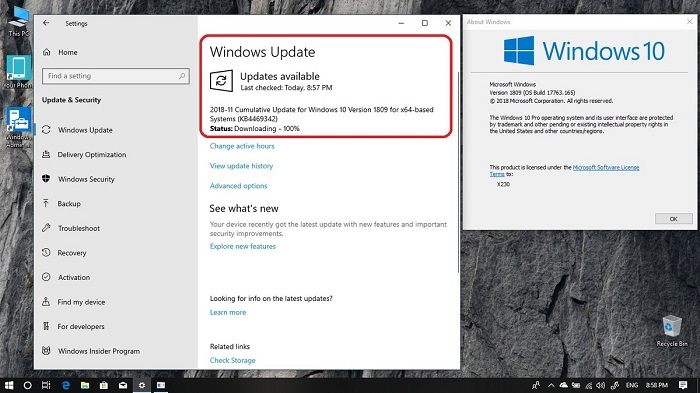 After the re-release of the Windows 10 October Update (v1809) in mid-November, Microsoft has now pushed KB4469342 to the Windows 10 version 1809. The operating system version number has changed from 17763.167 to 17763.168, the relaunched KB4469342 should contain more targeted fixes. Addresses an issue in which regedit.exe fails to add double null terminator to REG_MULTI_SZ values in the Windows registry. The missing terminator may prevent services and applications from reading REG_MULTI_SZvalues that regedit.exe adds after installing the operating system.